Keeping a ‘mood diary’ is a common method used to help people understand how their emotions are affected by their day-to-day lives. 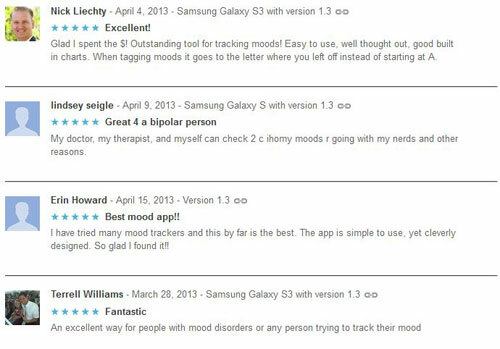 Psychologists and therapists use them to help monitor serious mental disorders such as depression and bipolar disorder. They are also useful for people who want to learn more about themselves and what distinguishes their ‘good’ from their ‘bad’ days. 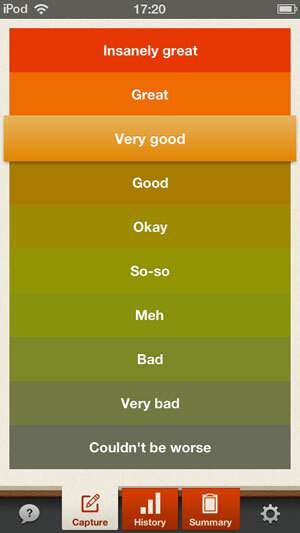 iMoodJournal is a mood diary phone app available for Android and iPhone. 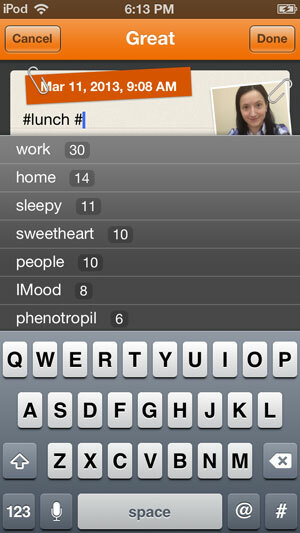 Like a pen and paper mood diary it helps you to record your moods, but has many other extra features too. It’s easy to use with cheery graphics and a well thought out, intuitive interface. 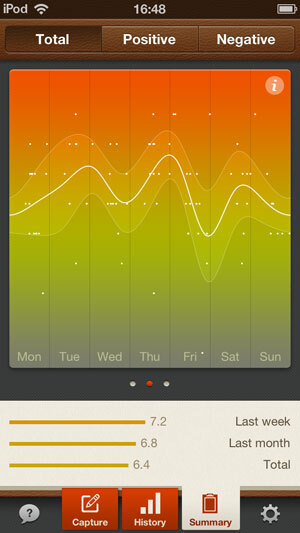 Throughout the day the app reminds you to record how you’re feeling. You can make a more detailed note at the same time, or take a picture of your expression instead, or both. Hashtags (like in Twitter) let you associate moods and experiences, and you can spot triggers of mood changes by looking at top hashtag charts. 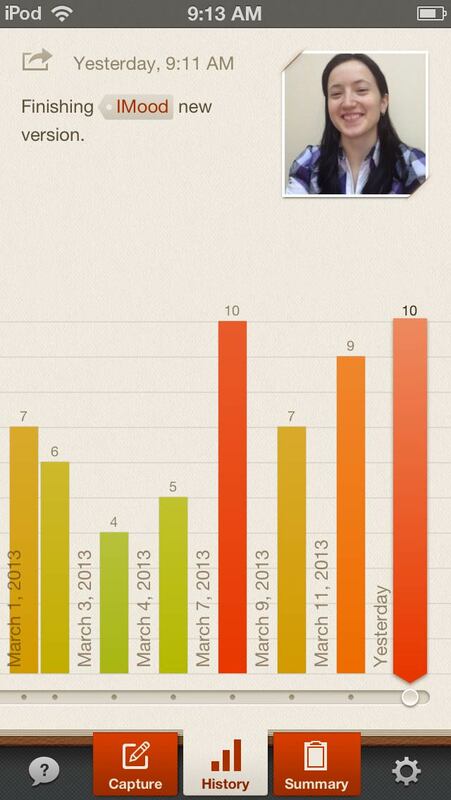 The results are available to view over time as animated charts and graphs. iMoodJournal can be locked so you can keep your mood diary to yourself. If you want to share your moods with friends or professionals you can print off your moods as a pdf. You can also share how you’ve been feeling with via facebook. iMoodJournal is available from iTunes App Store and Google Play. This entry was posted on Thursday, April 25th, 2013 at 9:08 pm	and is filed under Advertisement post. You can follow any responses to this entry through the RSS 2.0 feed. Both comments and pings are currently closed.